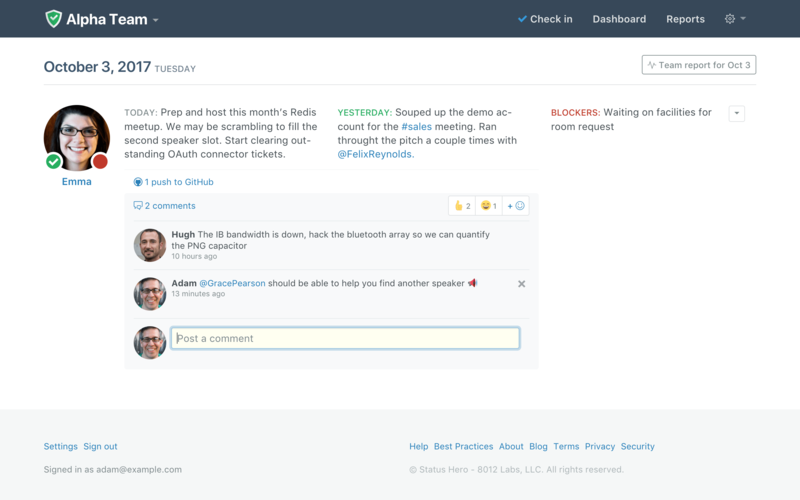 Use @mentions to tag and call out team members in your check-ins. For example, use @mentions to congratulate a team member, ask for clarification, or request help. Configurable notifications are sent to the team member that is mentioned, so you don’t have to worry about reaching out through other means. When you type the @ symbol in a check-in input field (or comment field), an auto-complete option will pop up with the names of your teammates.